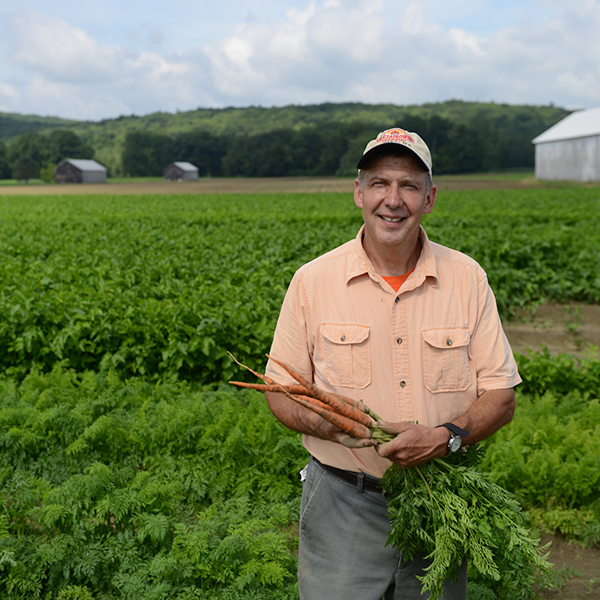 Farmer Joe Czajkowski has worked with UMass Dining for the last 10 years. 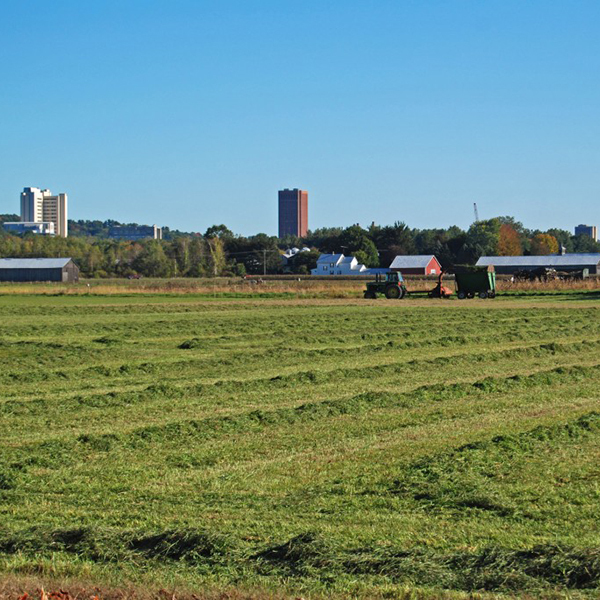 He farms over 400 acres across several New England States, but many of Joe’s fields are within 2 miles of campus. In addition to his own crops, he works with other Pioneer Valley farmers to provide most of our local produce for UMass each year. Always a business person, he is constantly working to expand his product line. In the past year, Joe and his staff have begun making homemade spiralized veggies. They even made their own machinery to do so! Starting with butternut squash, sweet potatoes, or turnips, the veggies are converted into noodles which can be a healthy, delicious alternative to pasta. It’s especially ideal for people who are vegan or have a gluten insensitivity. Joe’s kids, who are farmers themselves, have also begun raising chickens for sale to UMass. Starting with a small amount of 500 last year, they are ramping up production to 2,000 healthy, humanely-raised chickens this year! Another important partnership that has developed between UMass Dining and Joe Czajkowski is the freezing of fruit in order to have local berries available throughout the winter. Next winter, Joe plans to freeze strawberries, blueberries, and peach puree for UMass Dining. Collaborating with Joe Czajkowski has been an incredibly beneficial relationship for both sides. For Joe, the steady stream of demand from UMass has allowed Joe to source from more neighboring farms as well as expand his own farm.